Billboard's listings of the biggest releases of the 2000's may prove one thing. That there was very little in the way of innovation in the last ten years. Yes, there were many new artists but they tended to fit themselves into existing genres. Rock remained rock. Rap remained rap. There may have been a little throwback to earlier sounds in R&B and country may have continued it's charge towards a mainstream pop sound but, overall, the music of the last ten years was a continuation of the previous ten. What can be seen is that there are certain artists that seem to be timeless. U2 continued their campaign to establish themselves as one of the few truly timeless, groundbreaking acts. Madonna moved farther into dance music while trying to stay on top of the latest trends. 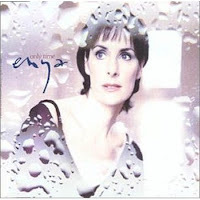 George Strait remained the old reliable country artist and Enya's new age sound continued to draw a wide audience. Just a couple of veteran artists showed that they could change their style and still bring in sales. For better or worse, Rod Stewart's biggest albums of the decade found him crooning standards from the middle of the last century and Santana took on a distinct pop feel while collaborating with some of the biggest artists of the day. Overall, when we get a few decades down the road, we may look back and see that the "oughts" really was one of the most boring decades in music in quite some time. Albums - Let us say right up front that we don't know the methodology behind the Billboard charts. The supposedly use the Nielsen SoundScan information, but their decade end charts do not reflect it. 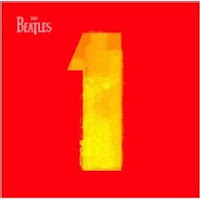 Nielsen said that the Beatles 1 was the biggest selling album of the decade where Billboard has it at number 8. Either way, it is still the highest charting album by a veteran artist for the 2000's. 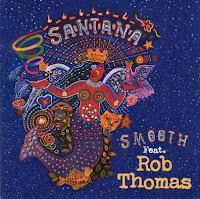 Just behind the Beatles at number 9 is one of the biggest albums of 1999, Santana's Supernatural. 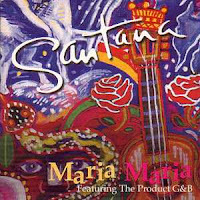 Not only was the album huge, but it produced two hits (Smooth and Maria Maria) that were among the biggest of the decade. U2 also continued to show their dominance by placing two albums on the list, All That You Can't Leave Behind at 68 and How to Dismantle An Atomic Bomb at 124. The only other veteran artist to have two was Rod Stewart with the first two volumes of his Great American Songbook series, but they finished low at 175 and 199. Singles - One of the major trends of the decade was away from albums to buying individual tracks. Brought about by the digital revolution, buyers now can cherry pick their favorites from an artist's catalog. This is turning out to be very much a young artist's game as is proven on the singles lists. 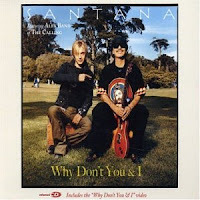 Only three tracks by veteran artists made it into the Top 100 of the decade, the two by Santana and Janet Jackson's All For You. Even worse, only one made it onto the list of the top downloads of the decade (Madonna's Four Minutes) and the radio airplay list (Santana's Smooth). Catalog Albums - This year, we've very much been focused on the sales of Michael Jackson and Beatles albums but, for the decade, the Catalog Album chart is filled with a wide variety of mostly classic rock artists and their career spanning retrospectives. 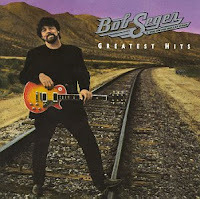 Landing at number 1 for the 2000's is Bob Seger's Greatest Hits, a testament to the longevity of his career and his ability to bring in new fans. The same can be said for the artist at number 2, Bob Marley. Almost thirty years after his death, his Legends album still regularly places high on the charts. Of course, the number 3 album, Pink Floyd's Dark Side of the Moon is legendary as being the LP that spent the longest on the Billboard charts. Obviously, it is not slowing down as it is currently in the revamped comprehensive Top 200. The rest of the Catalog chart is filled with familiar names from Queen to ABBA. Then there's Michael Jackson who, with the immense sales he's had just this year, managed to place three albums on the decade end chart. R&B - R&B was very much dominated by modern rap, hip-hop and neo soul acts over the last decade. 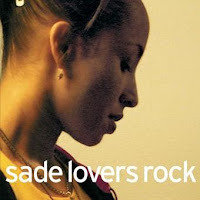 Of the top 100 albums, only three were by veteran artists with Sade's Lovers Rock being the only one in the top 50. Janet and Michael Jackson each have one album on the lower end of the chart. 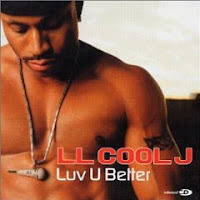 The singles chart is even more sparse as LL Cool J was the only artist to make it on the list with his Luv U Better all the way down at 92. 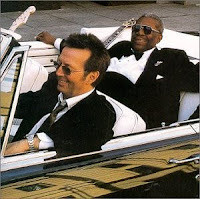 Blues - Eric Clapton has always been influenced by the blues, but he has made his career in rock music. In the 2000's, he spent much of his time with his beloved music, taking the top two albums of the decade (Ridin' With the King with B.B. King and Me & Mr. Johnson. Plus, who would have guessed that the third biggest blues album of the decade would come from Aerosmith? Once again, an artist who had been gone for ten years when the decade started continued to sell albums at an astounding pace. Stevie Ray Vaughan and his group Double Trouble came in with the number 8, 9 AND 10 albums of the decade. Country - When it comes to veteran country artists, there's nobody doing it better than King George. 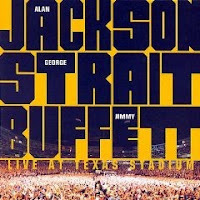 George Strait was dominant in this decade, placing four albums and five singles on the decade-end charts. The biggest album by a veteran artist, though, is really not true country. 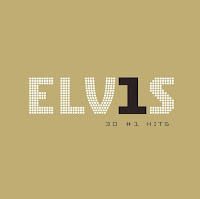 Elvis Presley's #1's collection came in at number 17 for the decade, just beating out the Eagles for the highest charting album by a veteran artist. On the singles side, the crown went to Alan Jackson and Jimmy Buffett who placed It's Five O'Clock Somewhere at the third biggest country single of the 2000's. 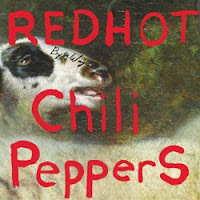 Rock - Billboard only published a rock singles chart for the decade and it was dominated by the Red Hot Chili Peppers. RCHP placed five singles in the top 100 with Metallica getting two and U2 having one. Adult Contemporary - Another big surprise came in the Adult Contemporary singles as the second biggest track of the decade came from Unkle Kracker with Dobie Gray and their remake of Gray's 1970's hit Drift Away. Santana was also huge between the Adult Contemporary and the Adult Pop Songs list as three of their hits, all collaborations with other artists, were ranked. Dance - There was on name dominating the dance charts in the 2000's, Madonna. She took the top two Dance Club hits with Hung Up and Music and placed a total of five songs on the decade-end chart. She also had the second biggest Dance Album with Confessions On a Dance Floor. 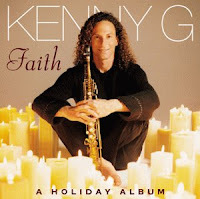 Jazz - If you thought that Madonna had dominated Dance, take a look at what Kenny G did on the Jazz chart. Nine of the top fifty albums are his, including the highest charting by a veteran artist, Faith: A Holiday Album. Also big was Harry Connick, Jr. who placed five on the tally. Surprisingly, even though he has had so many hit albums in the last couple of years, Frank Sinatra did not land one album on the jazz chart. The Digital, Radio Airplay, Catalog R&B, Blues, Country, Bluegrass, Rock, Adult Contemporary, Dance and Jazz charts are after the cut. 6. Only You - Harry Connick, Jr.
10. Harry For the Holidays - Harry Connick, Jr.
37. What a Night! A Christmas Album - Harry Connick, Jr.
48. Songs I Heard - Harry Connick, Jr.
50. Oh, My NOLA - Harry Connick, Jr.